The widow of comic legend Robin Williams and his three adult children are locked in a pitched battle over his estate months after his death, court records show. SAN FRANCISCO — The widow of comic legend Robin Williams and his three adult children are locked in a pitched battle over his estate months after his death, court records show. The conflict centers on items the groundbreaking comedian left behind after committing suicide in August, from clothing and watches to collectibles such as bicycles and figurines, as well as some of his fortune. His widow, Susan Schneider Williams, said in a petition filed in Superior Court in San Francisco on Dec. 19 that a trust Williams set up for her entitled her to their home in Tiburon, California, and most of its contents. The petition said some property was removed from the house without her permission and that “Mrs. Williams became frightened of the co-trustees invading her home,” prompting her to hire legal counsel. The filing said that while another home Williams owned in Napa, California, and most of the items inside belonged to his children — Zachary, Zelda and Cody — based on a separate trust, certain personal items did not. 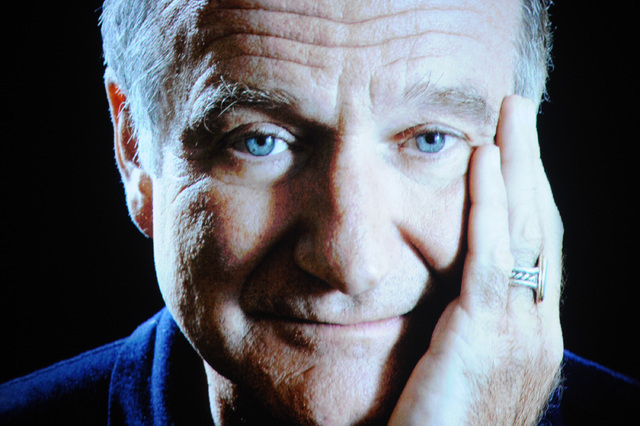 Robin Williams’ children responded in a filing on Jan. 21, alleging that Susan Williams was deliberately attempting to obscure the language of the documents to secure more of the estate for herself. The children’s filing said they were “heartbroken” and that Susan Williams, who married the actor in 2011, was acting against his wishes by challenging his plans for his estate. Allan Mayer, a spokesman for the children, told the New York Times that they had not taken anything from the home since the actor’s death. The Oscar-winning Williams, 63, hanged himself with a belt in his Tiburon home on Aug. 11, 2013, after seeking treatment for depression. He was last seen alive by his widow. His death sent shockwaves across the country and stood in stark contrast to the characters he portrayed in films such as “Good Morning, Vietnam” and “Dead Poets Society” who encouraged people to tap into their own inner vitality.